As summer turns to fall, many of us get caught up in the hectic, back-to-school rush and return to our more normal routines. But before your calendar gets too full, please make it a point to mark Saturday, October 6 on your calendar. 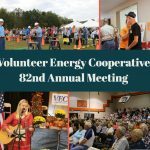 That’s the date for this year’s Volunteer Energy Cooperative (VEC) Annual Meeting. 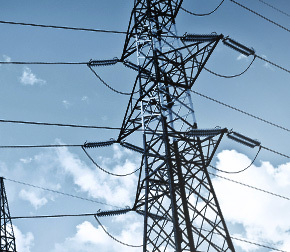 VEC’s Annual Meeting is an excellent opportunity to learn more about your cooperative and about the differences between being a member of an electric cooperative and being a customer of a different type of electric company. Registration, free flu shots, and your choice of a pancake or a continental breakfast begin immediately after the doors open at 8 a.m. EST. Morning entertainment will precede the business meeting which convenes at 10 a.m. Voices of Lee, the featured entertainment, will take the stage about 10:45 a.m. In between the entertainment you can stroll through numerous displays about VEC’s products and services, energy efficiency, and how to save money on your electric bill. There will also be plenty of great door prizes and every family will receive a free gift. There will also be face painting and safety demonstrations designed for the young and the young-at-heart. Don’t miss out on the fun, the food, the entertainment, the prizes, and giveaways, along with the chance to learn about your electric cooperative on October 6 at Meigs County Middle School in Decatur.